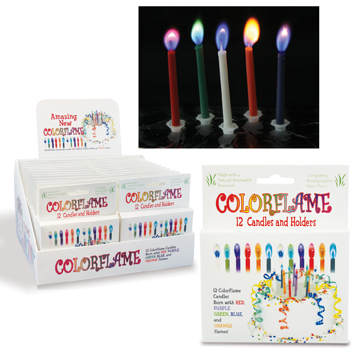 These unique candles create colored flames that match the color of the candle wax. WARNING: Keep burning candles within sight. Keep away from children and pets. Never burn a candle near anything that can catch fire. Be sure the flame is completely extinguished before storing or discarding.